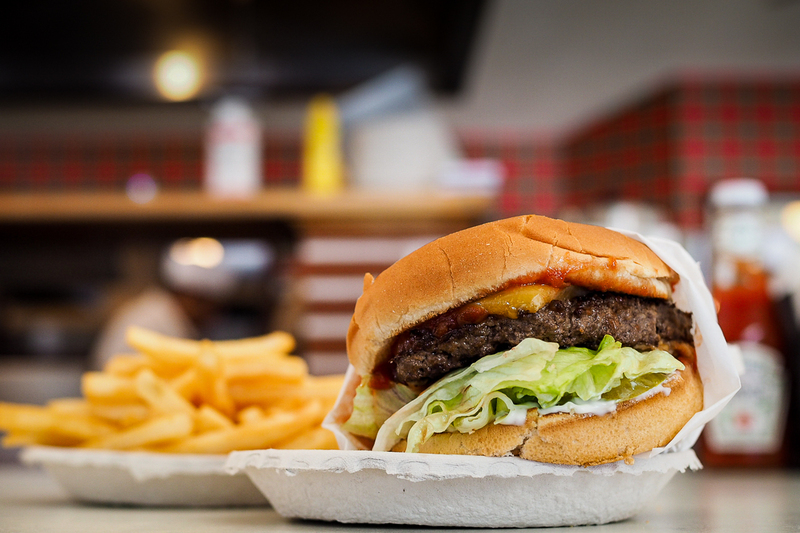 Where do you find the best burger in LA? That’s the question I hear over and over again. Yes, I love a good burger and I’m always looking for the next great spot. I’ve written about burgers to fit any occasion and have put together a best burger in LA list in the past. 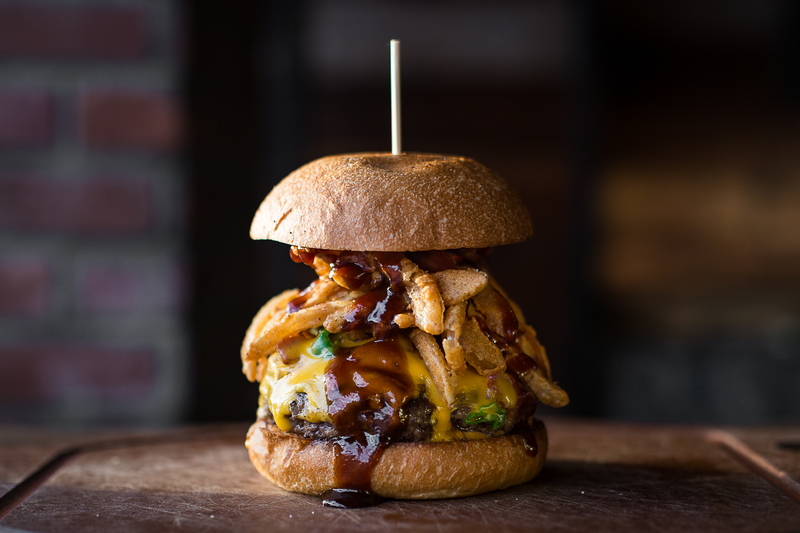 As I write these roundups it’s clear to me that Los Angeles has no shortage of amazing burgers. With so many great options, it wouldn’t be out of the ordinary to put together a list of The 50 Best Burgers in LA, but for the sake of brevity I want to let you know what burgers I personally enjoy the most and find myself eating (more than once) throughout the year. Like a great album, these are the hits - some old, some new, but always worth a play. 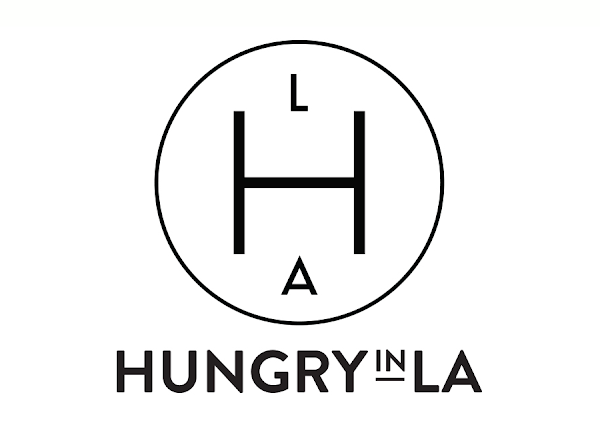 So without further delay, here is Hungry in LA’s personal burger recommendations that I find myself going back to again and again. The only "fast food" drive -thru restaurant I order a burger from is In-N-Out. What other drive-thru spot makes their burgers to order with fresh beef? They still cut potatoes and make their fries in the store. They have fresh produce, and real milk shakes, and possibly the best Thousand Island sauce also known as "spread." Did I mention a double-double costs less than $4? 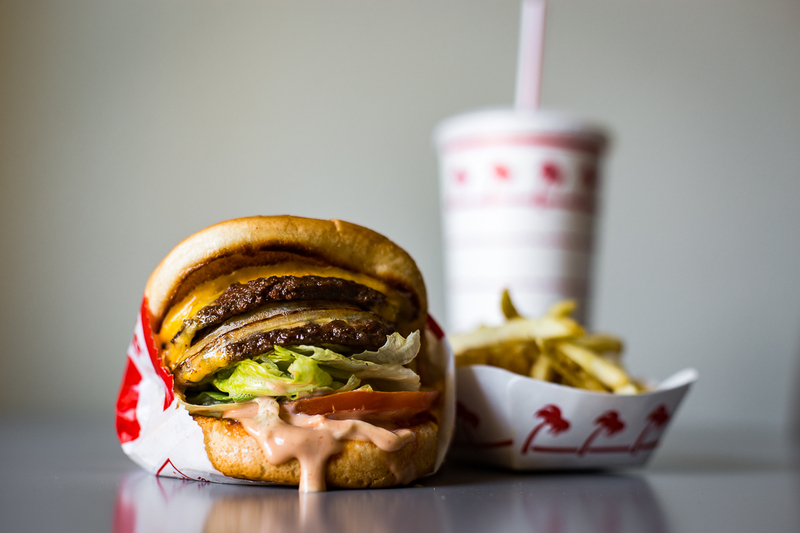 I know that In-N-Out has been on every burger list, but let's face it, they're an LA staple. And yes, I know that Arizona, Nevada, and even Texas has them, but if you're visiting from any of the other 46 States (ahem - I'm talking to you, East coast), you need to try this SoCal classic. Pro tip: Order your Double-Double with Whole grilled onions and add chopped chilies - it's a game changer! When asked where to find the best burger in LA, The Big Mec at Petit Trois quickly comes to mind. 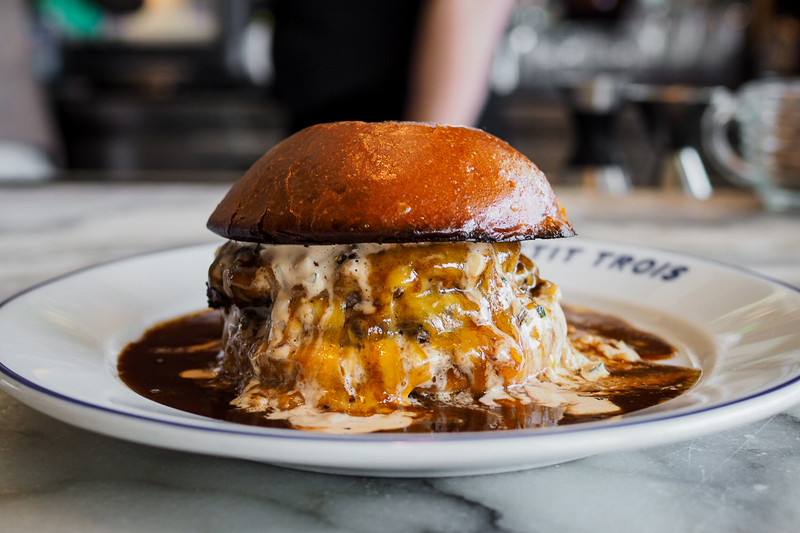 Just when you thought you saw it all in the burger world, Chef Ludo Lefebvre reinvents it with a burger that looks like it was inspired by French Onion soup. Don't let the absence of lettuce and tomato, and a plate flooded with bordelaise sauce dripping from the two 4-ounce prime beef patties, disqualify this masterpiece from being labeled a burger. This beast of a burger that's topped with American cheese and a garlic aioli is savory and delicious. You’ll also want to sop up all the bordelaise sauce that's made with foie gras. The Apple Pan "Hickory Burger"
Before fancy Kobe beef burgers served with truffle oil and garlic aioli on brioche buns, there was The Apple Pan. Old School in every sense of the word, this Westside burger counter has been around since 1947 and not much has changed. It’s cash only, the servers still wear paper hats and they serve your soda in a paper cone. The U-shaped counter and red barstools are iconic, and possibly the inspiration for most 50's themed diners, like Johnny Rockets. It's not just the ambience, but the burgers are iconic as well. The hickory burger served with a tangy and smokey red sauce is the one to get. A true LA-Staple, this burger is served with crisp iceberg lettuce and pickles. Make sure you add a slice of cheddar too. Also, don’t let the burgers overshadow the dessert. The banana cream pie is one of the best, anywhere. A good burger starts with good beef, and it can’t get any better than prime beef aged for 90 days and ground fresh in-house. A play on a classic SoCal-style burger, this one comes with lettuce, tomato, house-made 1000 Island, American cheese and caramelized onions. All this goodness is sandwiched between two toasted, pillowy soft and buttery poppy-seed brioche buns that are made (again) in-house. If we were writing about the best hamburger bun, this would be the winner, without a doubt, it’s that good. The burger at Republique is as close to perfect as you can get in LA without all the fuss of complicated toppings and flavors. Remember those backyard burgers you grew up with before the onset of gourmet burgers topped with fancy sauces and truffle shavings? We kept it pretty simple back then with just cheese, ketchup and pickles. That's the nostalgic feel you get from the Plan Check Burger (PCB), except this is a much more elevated interpretation of that. 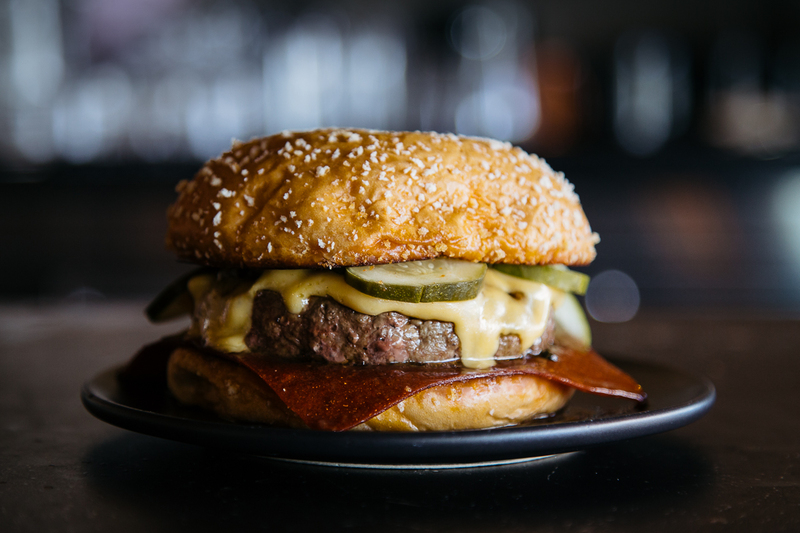 The PCB is a wagyu beef patty with Americanized dashi cheese, schmaltz onions, pickles, and ketchup leather. That's right, leather. Think of ketchup leather as sort of a ketchup fruit rollup that melts into the beef patty to prevent the bun from getting soggy, keeping it perfect until the last bite. It's a game changer and you'll never think of ketchup the same way again. 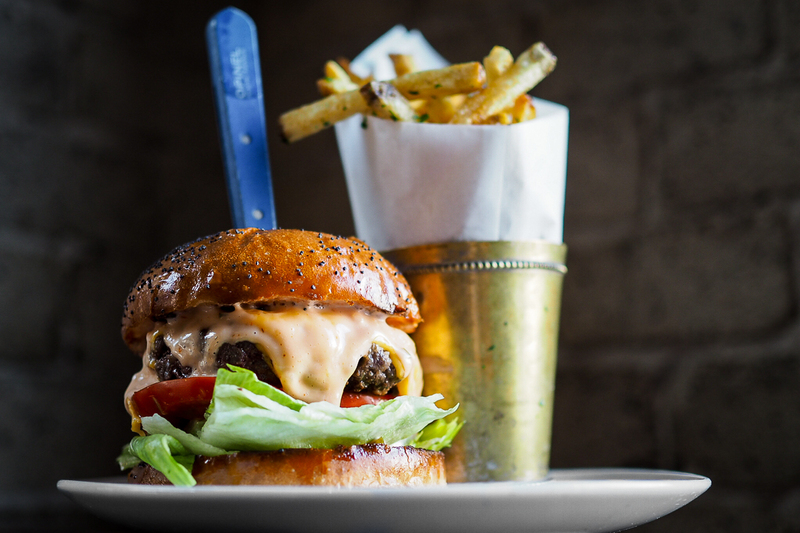 Love & Salt "The Downlow Burger"
Chef Michael Fiorelli tells it best, but in short, his famous not-so-secret burger was born when a regular customer kept insisting on ordering a burger when the restaurant didn't offer one at the time. Chef Michael finally gave in and using what was at hand, created the now famous, Downlow Burger. 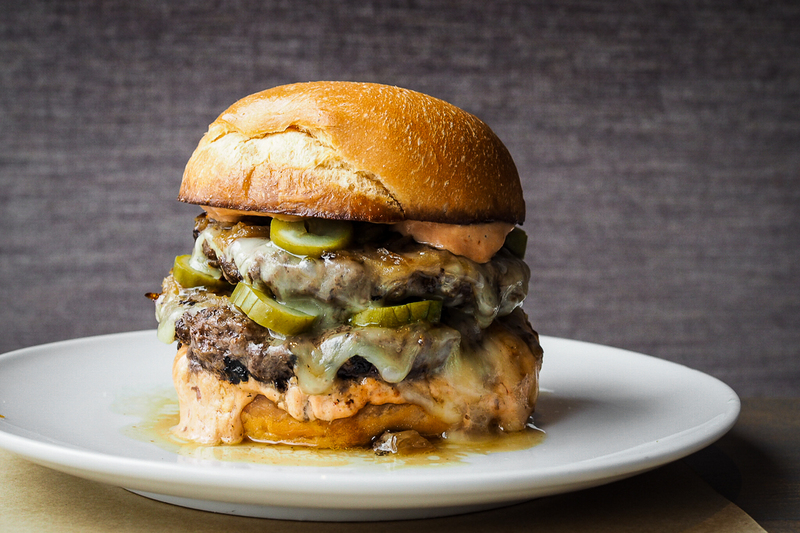 Using wagyu beef, house-made pickles, caramelized onions, aged cheddar, and a tomato aioli, Chef Michael told him to keep it on the "Downlow" but a burger this good was soon in high demand. If you want to know what a fancy, gourmet version of a Double-Double Animal style would taste like, then check out this one out at Love & Salt. It's currently only served at select times on weekday nights and for brunch on weekends. The Standing Room "Cash Burger"
It used to be under the radar, but not anymore. Inside a liquor store, in the back, past the beer and Lotto tickets, is the Standing Room - a very tiny counter where some of the best burgers in LA are served. 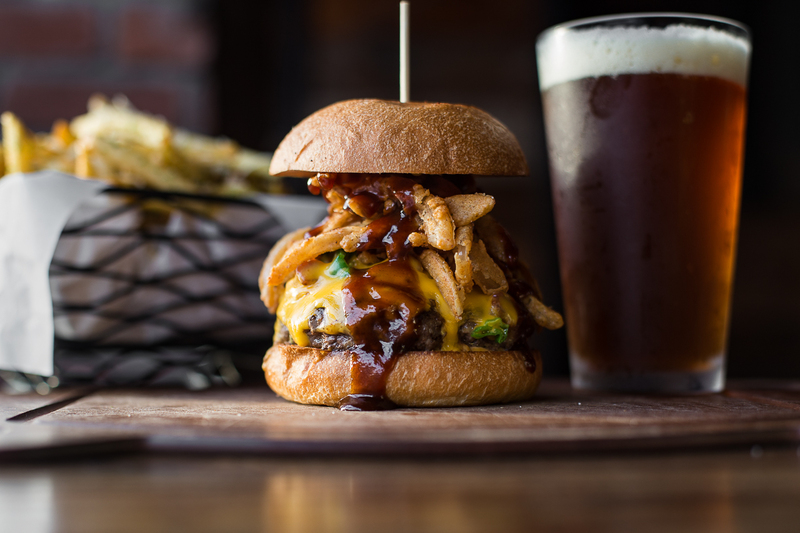 These burgers rival your best fancy gastropub burger anywhere. They have a fusion thing going on with American and Asian flavors. The "Cash Burger" served with shishito pepper, bacon, cheddar, american cheese, crispy onion strings, Korean aioli, and hoisin bbq sauce is an absolute flavor bomb. Check out their full service location in Hermosa for one of the best craft beer lists and cocktails in the South Bay. And no matter which location you choose, always get a side of truffle fries!